Turkish court rejected the compensation plea of family members of Furkam Dogan, a Turkish citizen who was killed in 2010 during an IDF raid on the Mavi Marmara flotilla to Gaza, the Hürriyet Daily News reported Wednesday. Dogan's family motioned the Turkish court, demanding compensation of 4 million Turkish Liras ($1.9 million) for his death. According to the judges, the claim was rejected because Israel could not be tried in Turkish court. On March 22, Prime Minister Benjamin Netanyahu formally apologized to his Turkish counterpart Recep Tayyip Erdogan over the killing of nine Turkish citizens on board the Mavi Marmara vessel, which was carrying pro-Palestinian activists trying to breach Israel's naval blockade of the Hamas-ruled Gaza Strip. Netanyahu also agreed to compensate the families of those killed in the raid. "Turkey's IHH Humanitarian Relief Foundation announced on Sunday that Islamic countries donated over $6.5 million for Gaza within the framework of the campaign launched by the organization," Anadolu Agency reported. Explaining the severity of the Gaza siege, IHH President Bulent Yildirim said "Gaza reverted to the situation before the deadly Mavi Marmara incident," speaking at the NGOs of the Islamic World Conference. Yildirim said "We have initiated an aid campaign for Gaza which is under blockade. All NGOs must take action for Gaza", adding "Organization of Islamic Cooperation (OIC) should help to open a humanitarian corridor to Gaza through Egypt." IHH Humanitarian Relief Foundation is a Turkish NGO which is active in more than 100 countries. 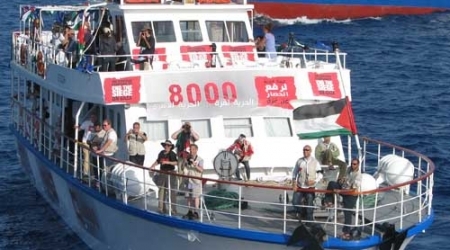 Mavi Marmara is a Turkish vessel that crossed the Mediterranean in October 2009 with the aim of breaking the blockade imposed on Gaza after Hamas assumed power over the enclave in 2007. Nine Turkish passengers aboard the international Mavi Marmara were killed in a clash with Israeli occupation forces that raided the vessel as it was on its way to Gaza. 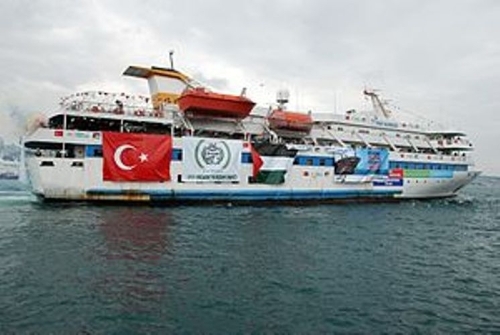 Mohammed Hasna, the representative of the Organization of the Islamic Conference said that the Turkish Humanitarian Relief Foundation, IHH, intends to send Mavi Marmara 2 to the Gaza Strip in a new attempt to break Gaza blockade. Hasna said that the foundations’ decision came in a special session on Gaza during a conference held by the Organization of the Islamic Conference in Istanbul. Turkey deliberately blew the cover of an Israeli spy ring working inside Iran in early 2012 and dealt a significant blow to Israeli intelligence gathering, according to a report in the Washington Post on Thursday. There was no immediate comment from Israel or Turkey, but Israeli ministers have accused Turkish Prime Minister Recep Tayyip Erdogan of adopting an anti-Israeli stance in recent years to bolster his country's standing in the Muslim world. Once-strong relations between Turkey and Israel hit the rocks in 2010 after Israeli commandos killed nine Turkish activists who were seeking to break Israel's long-standing naval blockade of the Gaza Strip. However, it said that in early 2012 Erdogan disclosed to Tehran the identities of 10 Iranians who had travelled to Turkey to meet Israeli spies. Iran has long accused Israel of spying inside the Islamic Republic and of killing a string of Iranian nuclear scientists - the last in January 2012. Israel and the West accuse Iran of looking to build an atomic bomb. Tehran denies this. Deputy Israeli Foreign Minister Zeev Elkin declined to comment on the Washington Post report, but said relations with Turkey were "very complex". 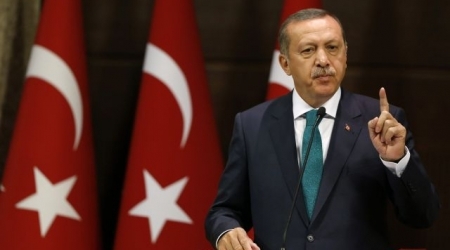 "The Turks made a strategic decision ... to seek the leadership of our region, in the Middle East, and they chose the convenient anti-Israeli card in order to build up leadership," he told Israel Radio. Energy Minister Silvan Shalom also declined to comment, but told Israel Radio that after unrest shook the Arab world in 2011, Erdogan had sought to win "legitimisation as the undisputed leader of the new revolution". The United States tried to broker a reconciliation between its allies Turkey and Israel in March, persuading Israeli Prime Minister Benjamin Netanyahu to apologise for the 2010 killings. "The only thing that we have achieved since March is to show the Americans that Erdogan is not remotely interested in a reconciliation," said an Israeli diplomat, who declined to be named given the sensitivity surrounding the issue. Shortly after the 2010 incident off the shores of Gaza, the then-Israeli defence minister Ehud Barak voiced concern that Turkey could share Israeli intelligence secrets with Iran. "There are quite a few secrets of ours (entrusted to Turkey) and the thought that they could become open to the Iranians over the next several months ... is quite disturbing," Israel's Army Radio quoted him as saying in August 2010. The British authorities have stopped and questioned former Israeli navy commander Eliezer Marom upon arriving London's Heathrow Airport Monday, Ynetnews.com reported. Marom was commander of the Israeli navy when 13 Israeli commandos committed a massacre on board the Mavi Marmara on 31 May 2010 in which nine Turkish men lost their lives. Israeli ministry of justice would not confirm whether the former military official has been questioned about his role as commander during the Navy's raid on the 2010 Mavi Marmara flotilla, according to the report. 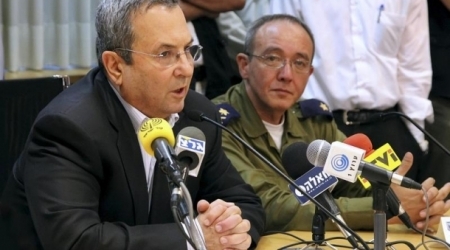 In September 2009, following Israel's 2008-2009 war on Gaza, 16 Palestinians asked a London court to issue an arrest warrant for its then-defense minister, Ehud Barak, who was on a visit to Britain. In December 2009, a British court issued an arrest warrant for former Israeli minister Tzipi Livni, a member of the war cabinet during Operation Cast Lead, over war crimes committed in Gaza, which led her to cancel a trip to the British capital. The Israeli website said that "being questioned while traveling in Europe has also been a concern for senior IDF officials due to lawsuits drawn up by pro-Palestinian organizations, but has never amounted to any arrests." 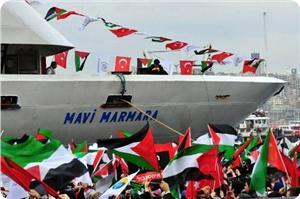 Scores of Turkish citizens and relatives of martyrs, who were killed in the 2010 Israeli naval raid on the aid ship Mavi Marmara, rallied on Thursday outside Caglayan court in Istanbul in protest at the failure of the international community to bring the killers to justice. Most of the speakers at the protest highlighted that the families of the victims refuse any Israeli apology for the Mavi Marmara massacre until the killers are punished and the blockade on Gaza is ended. One of the relatives stated in a speech during the protest that the families of Mavi Marmara martyrs would not stay silent and would keep raising the issue until the perpetrators get their comeuppance. He added that the international silence on the Mavi Marmara massacre has made the relatives of the victims more determined to keep remembering and chanting their names in order to keep their issue alive. "We will not backtrack on taking legal action against four officers of the Israeli army accused of giving orders to attack the ship and we will keep our protests against Israel until it ends its blockade on Palestine," one of the martyrs' mothers said during the rally. At the end of the protest, a number of children and women released balloons carrying the names of the Mavi Marmara martyrs as a tribute to their memory. 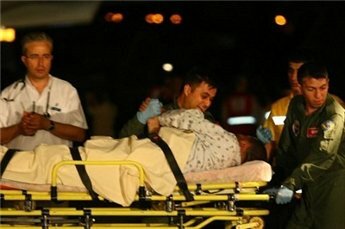 The Israeli deadly attack on the Mavi Marmara ship on May 31, 2010 in international waters claimed the lives of nine Turkish men who were members of the Freedom Flotilla aid convoy to the besieged Gaza Strip. An anti-war activist told a Turkish court on Thursday that Israeli commandos opened fire from a helicopter during a raid on a Gaza-bound aid ship three years ago, countering Israeli assertions that the soldiers had acted in self defense. Israeli marines stormed the Turkish-owned Mavi Marmara, part of a flotilla carrying aid to Palestinians, on May 31, 2010 to enforce a naval blockade of the Palestinian-run Gaza Strip. Nine Turks were killed in clashes on board. The incident triggered a diplomatic crisis between (Israel) and Turkey, two of Washington's strategic allies in the Middle East, and relations remain fraught. The trial in absentia of four retired Israeli commanders, including the ex-head of the army, opened in Istanbul last November and resumed on Thursday with testimony from those who were aboard and relatives of the dead. (Israel) has dismissed it as a political "show trial". Kenneth O'Keefe, an Irish-Palestinian former U.S. marine turned anti-war activist who was on board the aid ship, told the court that Israeli soldiers had started shooting from the helicopter, killing several people. "Within 5 to 10 minutes after the Israeli helicopter approached the ship, I ran into Cevdet Kiliclar's dead body on the deck, before any Israeli commando had boarded the vessel," O'Keefe said, referring to one of the Turkish activists. "He must have been shot from the air. After seeing Kiliclar's dead body, I went upstairs to the top of the deck and saw several people lying on the ground, wounded or dead." A September 2011 U.N. report into the incident cited an Israeli commission of inquiry as saying that three stun grenades were thrown from the helicopter but no shots were fired as the Israeli soldiers descended onto the vessel. "The soldiers from the first helicopter were met with an extreme level of violence from a group of passengers on the vessel. They were shot at and attacked with clubs, iron rods, slingshots and knives," the report said, summarizing (Israel)'s own investigation. It said the Israeli soldiers resorted to lethal weapons "in response to the violent resistance faced". Turkey expelled (Israel)'s ambassador and froze military cooperation after the 2011 U.N. report largely exonerated the Jewish state and concluded that while Israel had used unreasonable force, its blockade on Gaza was legal. NATO member Turkey set precise conditions for normalizing its once-extensive ties - an apology, compensation and Israel lifting its embargo on Gaza. U.S. President Barack Obama brokered an apology from Israel in March and delegations from the two countries subsequently discussed compensation terms, but there has been little sign of concrete progress since then. The Turkish indictment seeks multiple life sentences for the now-retired Israeli officers over their involvement in the nine killings and the wounding of more than 50 others. 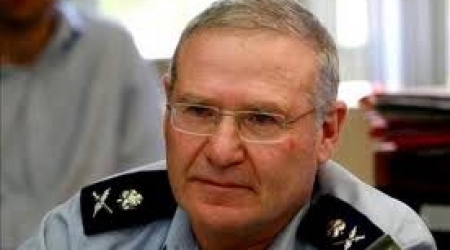 The 144-page indictment names (Israel)'s former Chief-of-Staff Gabi Ashkenazi and three other senior commanders. It lists "inciting murder through cruelty or torture" and "inciting injury with firearms" among the charges. A few hundred protesters waved Palestinian and Turkish flags and chanted anti-Israeli slogans outside the Istanbul courthouse. The hearing was adjourned to March 27, 2014. An appeal against Arab MK haneed Zoabi is to be heard Tuesday by Judge Asher Grunis while advocate Hassan Jabareen from Adala will represent Zoabi, local media reported. The former right-wing MK Michael Ben-Ari and the extremist activist Itmar Ben-Gvir had filed the appeal even though a previous decision by the Attorney General officially closed the case against Zoabi due to lack of evidence. The Supreme Court had also overturned a previous decision that disqualified her from running for elections due to her participation in the Freedom Flotilla set to Gaza in May 2010. Commenting on the disqualification complaint, Judge Salim Jobran said: "Participation in the Flotilla alone does not rise to the level of dangerous expression on supporting armed struggles." Lawyer Jabareen pointed out that the new appeal: "Does not mention the fact that local criminal laws are not applied on Zoabi in this case as the Flotilla was seized in international waters." He further added that the petitioners did not bring enough evidence that Zoabi had used violence against anyone during the operation on board the Flotilla to support their argument. Zoabi, meanwhile, said "Those who killed the nine activists and imposed a blockade on Gaza should be convicted. The culprit here is the Israeli government not Hanin Zoabi." 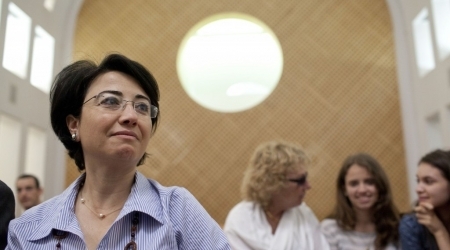 The Arab Knesset member was attacked in a previous hearing by Jewish extremists. When asked whether she would attend the new hearing or not, she answered: "Yes, I would. I am not representing myself, but all my people." The reason for the deadlock in compensation talks between Turkey and Israel is the latter's insistency in redressing the damages of the Mavi Marmara victims as an ex gratia payment and not as a result of its wrongful act, a senior Turkish government official has said. "In our first meeting [the Israelis] showed no opposition to this. But in the second meeting, they intended to give an ex gratia payment as a form of reparation because they fear compensation [as a result of their wrongful act] will set an example for other cases, which is not a concern to us," Deputy Prime Minister Bülent Arınç told Ankara bureau chiefs late on July 23. Arınç is leading a Turkish team composed of diplomats and legal experts negotiating the compensation issue with the Israeli government. Israel formally apologized to Turkey on March 22 over the killing of nine Turkish citizens on board the Gaza-bound Mavi Marmara vessel in 2010. It also agreed to redress the damages and loss of life and promised to lift an embargo imposed on the Gaza Strip. However, compensation talks were suspended after the parties held three meetings in April and in May with unconfirmed reports that the primary reason was the disagreement over the amount of money. "The amount of money is not the problem," Arınç said. "There are two problematic areas. The first one is that Israel should accept that it's paying this money as a result of its wrongful act. Nothing less than this will be accepted. And second, we are waiting for them to realize our third condition of cooperating with Turkey in making life conditions easier for Palestinians. We are not talking about the amount of money as our first two conditions have not been met," he added. "We are not going to rush for the money. Israel has to accept its wrongful act. Otherwise we will not say 'yes' to them," he said, adding that the amount of money to be given to the families of the victims will be automatically calculated in accordance with criteria. If an agreement can be reached between Turkey and Israel, it will be brought to Parliament as an international agreement and will have an effect on ongoing cases opened against the Israeli state by the victims' families. "There cannot be two separate legal attempts to seek compensation. If the governments agree, it will cover [the victims'] demand for compensation as well." The reason for the deadlock in compensation talks between Turkey and Israel is the Jewish state's insistence on defining the damages slated to be paid to the families of those killed during the 2010 commando raid on the Gaza-bound Mavi Marmara ship as an ex gratia payment and not as a result of a "wrongful act," Deputy Turkish Prime Minister Bulent Arinc said. “In our first meeting (the Israelis) showed no opposition to this. But in the second meeting, they intended to give an ex gratia payment as a form of reparation because they fear compensation (as a result of their wrongful act) will set an example for other cases, which is not a concern to us,” Arinc told bureau chiefs in Ankara on July 23. Arinc is leading a Turkish team of diplomats and legal experts negotiating the compensation issue with the Israeli government. His comments were published by Turkish newspaper Hurriyet on Wednesday. On March 22 Prime Minister Benjamin Netanyahu formally apologized to his Turkish counterpart Recep Tayyip Erdogan over the killing of nine Turkish citizens on board the Mavi Marmara vessel, which was carrying pro-Palestinian activists trying to breach Israel's naval blockade of the Hamas-ruled Gaza Strip. Netanyahu also agreed to compensate the families of those killed in the raid. However, compensation talks were suspended after the parties held three meetings in April and in May, with unconfirmed reports that the primary reason was the disagreement over the amount of money. “The amount of money is not the problem,” Arinc was quoted as saying by Hurriyet. “There are two problematic areas. The first one is that Israel should accept that it’s paying this money as a result of its wrongful act. Nothing less than this will be accepted. And second, we are waiting for them to realize our third condition of cooperating with Turkey in making life conditions easier for Palestinians. We are not talking about the amount of money as our first two conditions have not been met. “We are not going to rush for the money. Israel has to accept its wrongful act. Otherwise we will not say ‘yes’ to them,” he added. Hurriyet said if an agreement is reached between Turkey and Israel, it will be brought to parliament as an international agreement and will have an effect on ongoing cases against the Israel by the victims’ families. “There cannot be two separate legal attempts to seek compensation. If the governments agree, it will cover (the victims’) demand for compensation as well,” Arinc said. Palestinian and Turkish citizens participated in a rally on Friday to commemorate the third anniversary of Israel's deadly attack on Freedom Flotilla aid convoy in international waters off the coast of Gaza. 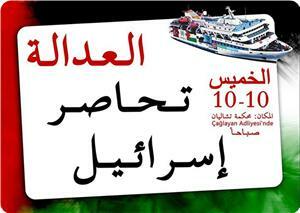 May 31 marks the third anniversary of the Mavi Marmara incident, an Israeli military raid on a Turkish-led aid flotilla to Gaza that resulted in the death of nine Turkish activists who were aboard Mavi Marmara ship. Palestinian and Turkish national figures and activists as well as an Egyptian delegation attended the event that was staged at the Fishermen port in Gaza by the Turkish relief group IHH and the Palestinian interior ministry. Deputy minister of the interior ministry Ghazi Hamad said in a speech during the rally that the blockade on Gaza is no longer a Palestinian issue, but it has become a matter of concern to the Arab and Muslim worlds. Hamad also hailed the Turkish role in supporting Gaza people and their resistance. For his part, Mohamed Kaya, director of IHH, stated that his organization, which organized the Freedom Flotilla convoy three years ago, would uphold its position in support of the Palestinian cause and continue its relief efforts until the liberation of Palestine. 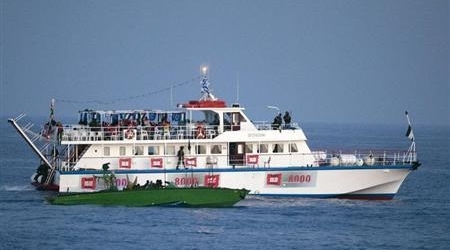 Senior Islamic Jihad official Mohamed Al-Hendi, in turn, said in a speech on behalf of the Palestinian resistance factions in Gaza that the incident of the Freedom Flotilla convoy would be a reminder for the Palestinians that they are not alone and that Palestine and its holy sites belong to the whole Muslim nation. Hendi described the Freedom Flotilla martyrs as historic icons that cannot be forgotten by the Palestinian people. The participants in the rally carried photos of the Freedom Flotilla martyrs and banners in Arabic and Turkish asserting that they would always be in the Palestinian memory. Palestinian children also threw roses in the sea waters in honor of the Turkish martyrs. The International Criminal Court has opened a preliminary probe into Israel's deadly raid on a Gaza-bound flotilla in 2010 in which nine Turkish citizens died to see if war crimes or crimes against humanity had been committed, the prosecutor's office said May 14. "My office will be conducting a preliminary examination in order to establish whether the criteria for opening an investigation are met," Fatou Bensouda said in a statement issued from the court based in The Hague. 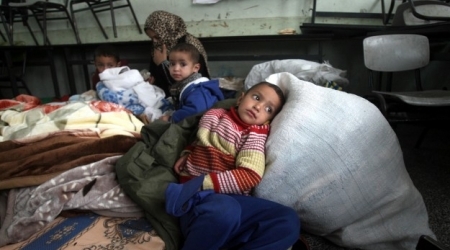 Nine Turkish nationals died when Israeli commandos staged a botched pre-dawn raid on a six-ship flotilla seeking to bust Israel's naval blockade of the Gaza Strip on May 31, 2010. The ship on which the activists sailed, the MV Mavi Marmara was registered in the Indian Ocean island country, which has been a state party to the ICC since 2006. Lawyers in their 17-page submission said the attack on the flotilla had "serious international repercussions" and that the ICC was seen as an institution to "provide a remedy for redress". They added that the actions of the Israeli Defence Force (IDF) "were manifestations of a plan or policy to use violence to dissuade the humanitarian flotillas to directly reach a blockaded Gaza". "The IDF attack on the flotilla - charged with bringing humanitarian aid to Gaza resulted in the commission of war crimes and crimes against humanity falling within the ambit of the ICC's jurisdiction," the lawyers said. The maritime assault also severely wrecked relations between former regional allies Israel and Turkey, with Ankara demanding a formal apology and compensation for the families of the raid victims, as well as the lifting of the blockade. Compensation talks finally began in late March, after Israel extended a formal apology to Turkey to get the rocky relations back on track. If Bensouda believes she has enough evidence, she may then give the go-ahead for a full investigation which could lead to a future trial. The highest level Turkish delegation to visit Israel since the Mavi Marmara incident three years ago is expected in Jerusalem next week to continue discussions about Israeli compensation to the families of the nine Turks killed on the ship as it tried to break Israel's blockade of Gaza. According to Turkish media reports, the delegation will be headed by Turkish Foreign Ministry Undersecretary Feridun Sinirliog ˘lu, a former Turkish ambassador to Israel. He is expected to meet with Israel's National Security Council head Yaakov Amidror and Joseph Ciechanover. Amidror and Ciechanover went to Turkey last week to begin talks on the compensation payments. The two delegations agreed to a mechanism by which compensation would be calculated, though an actual sum was not yet discussed. Compensation payment to the Turks is one of Ankara's conditions for normalizing ties with Israel, following Israel's Prime Minister Binyamin Netanyahu's apology to Turkish Prime Minister Recep Tayyip Erdogan in late March for "any mistakes that might have led to the loss of life or injury." One Israeli official, when asked about the upcoming round of talks in Israel, said that Netanyahu's decision to issue the apology was "not easy" and "complex," but was done "in an effort to try and reestablish relations with Turkey. Ultimately, it is our hope that the Turks will reciprocate in kind.